For businesses who require an enterprise grade, managed and compliant CMS solution for websites and intranets. 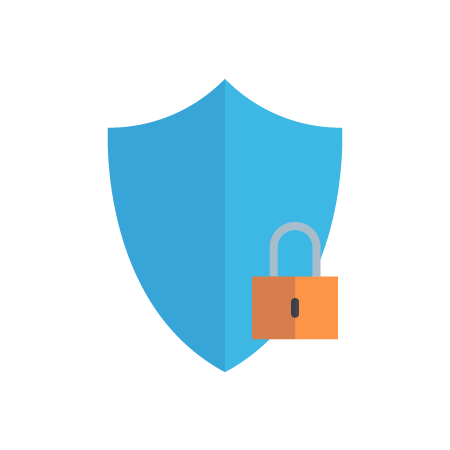 Secure and stable Wordpress alternative for businesses serious about security, ease of use and compliance. 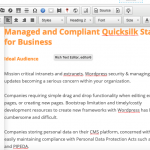 QuickSilk is a secure, enterprise grade, content management system (CMS). 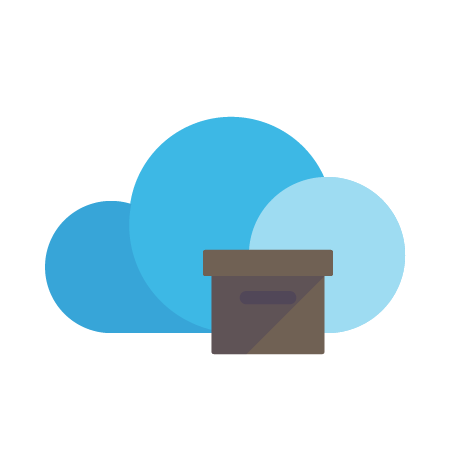 We needed a managed services provider that could support the stringent security and compliance requirements of our rigorous coding and development processes. 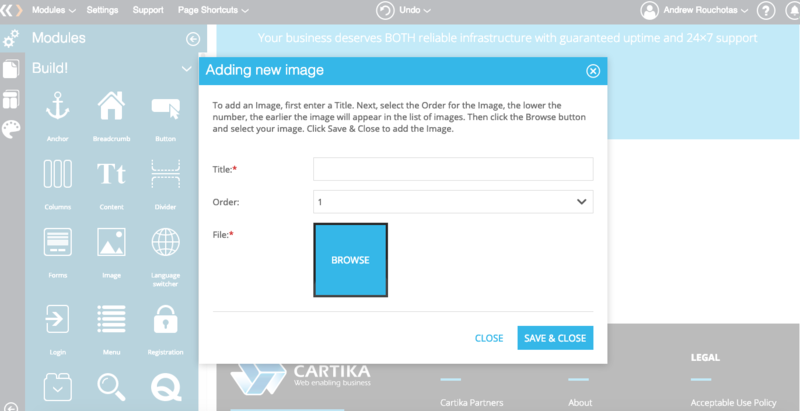 We selected Cartika in 2010 as they understood our complex requirements and offered timely, competent, customer support. 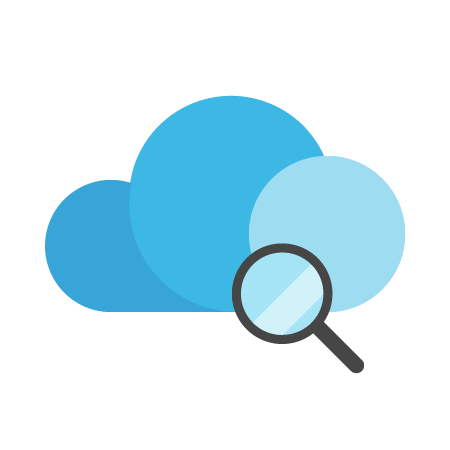 On the infrastructure side, we value the vast array of services, platforms and processes that support our advanced compliance offerings (HIPAA, FISMA, etc). 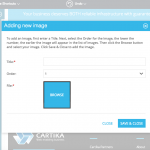 Cartika has proven itself to be a leader in the provisioning of managed services for secure, compliant and big data infrastructure solutions. We are proud to be partnered with the forward looking team at Cartika. 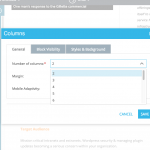 Mission critical intranets and extranets. 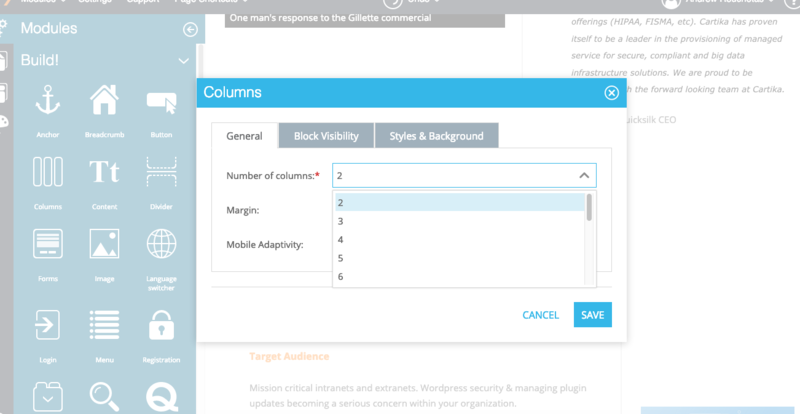 Wordpress security & managing plugin updates becoming a serious concern within your organization. 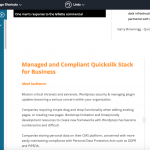 Companies requiring simple drag and drop functionality when editing existing pages, or creating new pages. 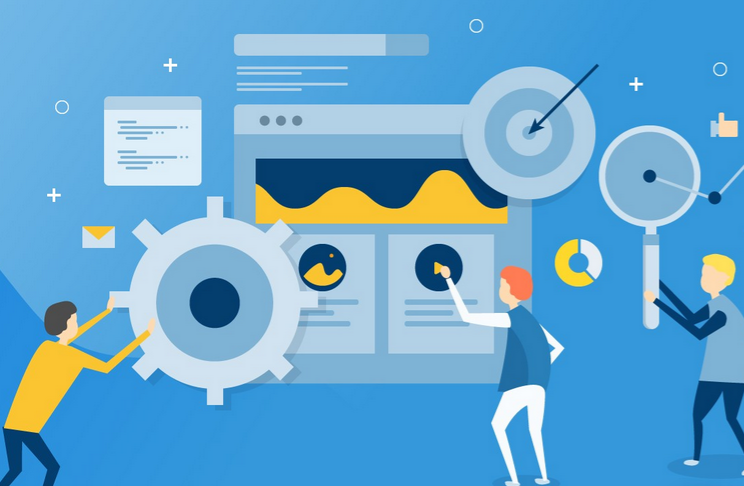 Bootstrap limitations and timely/costly development resources to create new frameworks with Wordpress has become cumbersome and difficult. 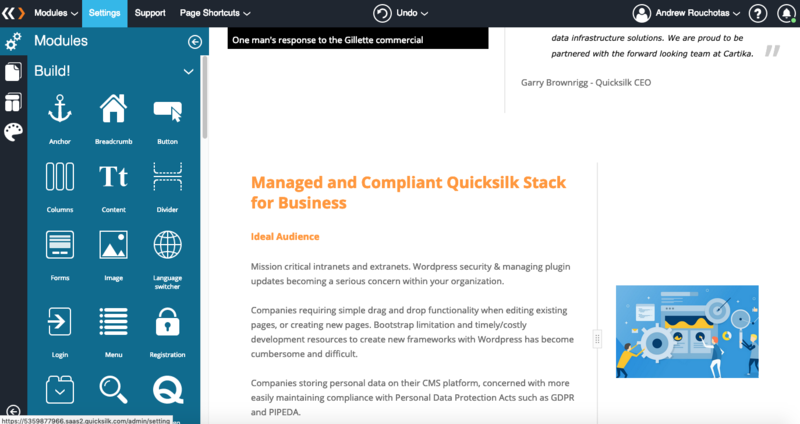 Businesses storing personal data on their CMS platform, maintaining compliance with storing and transmitting personal data under the Personal Data Protection Acts such as GDPR and PIPEDA. 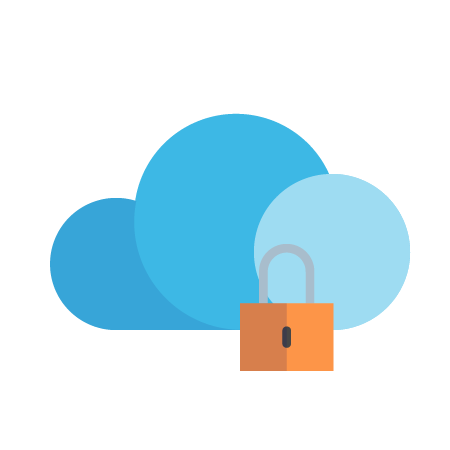 Organizations storing extremely sensitive Personal Health Data, Personal Financial Data and/or Children's Data - with compliance concerns adhering to HIPAA/HITECH, PHIPA and COPPA.